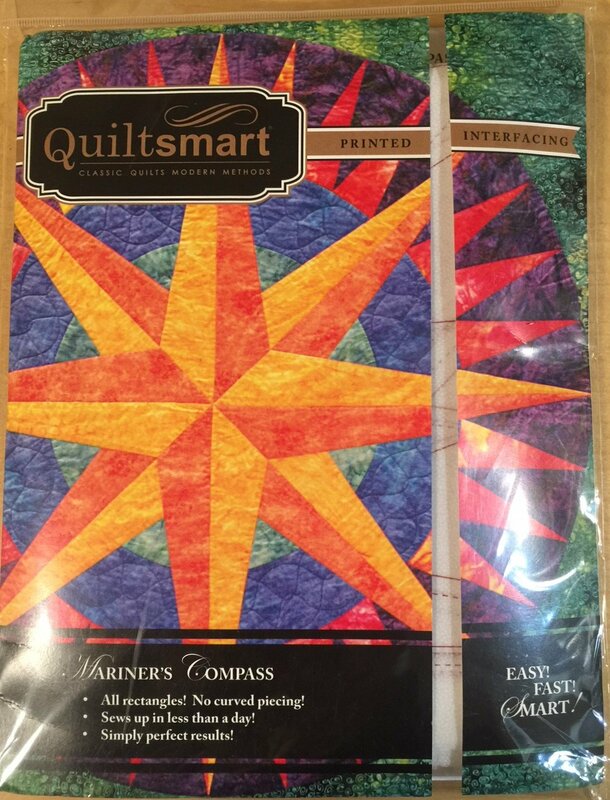 Using Quiltsmart's Mariner's Compass interfacing, you will be amazed how easy this quilt is to make! METHOD: "Flip & Stitch" and "Zigzag Applique" - Two easy Quiltsmart methods come together to make this great classic quilt. Only cut rectangles & squares - no bias cutting or strange shapes! Each compass finishes at about 47 inches and takes about 4-6 hours to complete the compass. 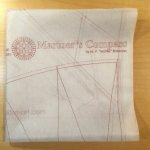 Comes in a 9" x 12" pack with 8 panels of interfacing & instructions to make the 3 layouts shown (Lap, Twin, or Queen) or create your own layout. VARIATIONS: "Broken Mariner's Compass". This is a a bit of a challenge in terms of time, but not in difficulty! It is the equivalent of 4 Mariner's Compasses. If you want to do this, order the Pack and 24 additional panels of interfacing - a better value than 4 packs.